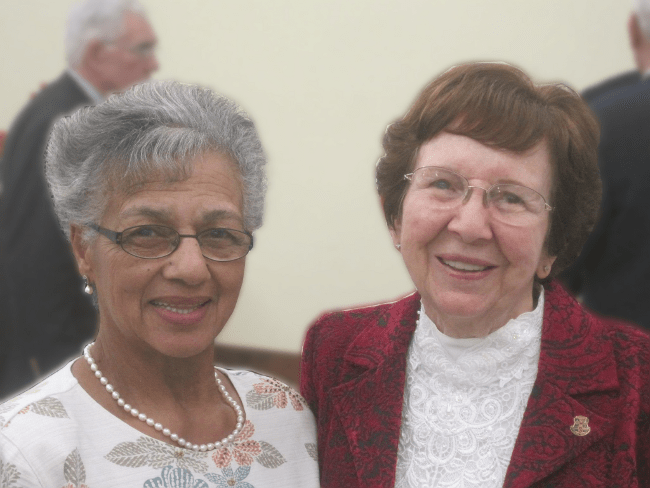 Freda Hendricks’ journey from South Africa to visiting the World Methodist Council began with a traffic jam fifty years ago. “There was an accident further up the road and we were in a long queue of cars. From outside I heard voices. The voices were coming from the inside of a garbage dump. My husband and I left our car and we walked over to see what was going on. We discovered a group of children playing and foraging. Some were looking for things for their homes, others were looking for food.” says Hendricks. The economic disparity and desperate poverty of Apartheid-era South Africa galvanized both Freda and her husband, Abel. For Abel, it led him to help lead the fight against Apartheid and for Freda it served as a calling to help the children of South Africa. “After my husband was ordained, he resigned from his settlement so that he could move to an area to help people who had been forced to move to the Cape Flats in South Africa.” says Hendricks. The husband and wife started with nothing but a mission to help others in the small township called Kalksteenfontein. Together, they built a sanctuary for people on the fringes of an already marginalized society. “In the beginning there was no place to hold church, so we held it in the minister’s homes,” says Hendricks. Both Freda and Abel rose in prominence, Freda teaching and providing day care for children of the area and Abel eventually rising to become the President of the Methodist Church in Southern Africa. But no matter where their work and occupations took them, they both operated by one simple rule: to treat others with dignity and respect. “It was important for me to treat people with dignity. I would tell them that if they cannot afford day care for their children, I would still keep them. But instead of money I might ask for vegetables for the children.” says Hendricks. Abel Hendricks eventually went on to win the World Methodist Peace Award in 1980 – recognition for a lifetime spent fighting for equality and dignity for all. After her husband’s death, Mrs. Hendricks still devoted her time to child care and education, but now a new adventure is upon her – retirement. But before she is ready to fully relax, Freda has spent three months visiting old friends and meeting new ones throughout the United States. She even took time to speak to the friends of the World Methodist Museum’s banquet in late August. At the banquet, Hendricks told her story, and spoke of the hope that belonging to the Methodist and Wesleyan family brought her and her husband. She spoke of her joy in helping children, and even told anecdotes about General Secretary Ivan Abrahams, who began his career in the ministry working with Abel Hendricks. It has been a long journey from the Cape Flats of South Africa to the quiet mountains of the World Methodist Council headquarters in Western North Carolina, but every part of the journey has been important to Hendricks.